This is a fascinating new account of how diplomacy and politics gave way to military strategy and warfare in the Pacific. Presenting previously unpublished photographs, interviews with veterans, newly commissioned maps and new translations of Japanese sources, this book freshly examines the key events in the fight for the Pacific. Detailing the background to the Japanese attack on Pearl Harbor it shows how the decision-makers in Washington, following consultation with the leaders of Britain, Australia and New Zealand, moved to stop Japan from its drive toward Australia by initiating a counterthrust in the Solomon Islands. It also shows how qualities and character of leadership are crucial to winning wars, detailing how Admiral Ernest J. King managed to commit the Marine Corps to ground action in the South Pacific six months earlier than originally planned, by ignoring the Roosevelt’s commitment to defeat Germany prior to fighting Japan, and by outmaneuvering Gen. Douglas MacArthur for leadership. It also explains how Marines under Maj. Gen. A.A. Vandegrift, despite inadequate logistical support, managed to prevail in the Americans’ first ground campaign of World War II, making Japan’s ultimate defeat inevitable. In addition to recounting these key events, it traces how censorship and patriotism influenced the reporting of the conflict in America, how Hollywood films further shaped public opinion by portraying the significant events in particular ways, and how certain crucial decisions such as the early bombing raid of Tokyo, and giving Douglas MacArthur command of the war effort in Australia, were "political" rather than "strategic," and were made to foster morale rather than to gain any military advantage. 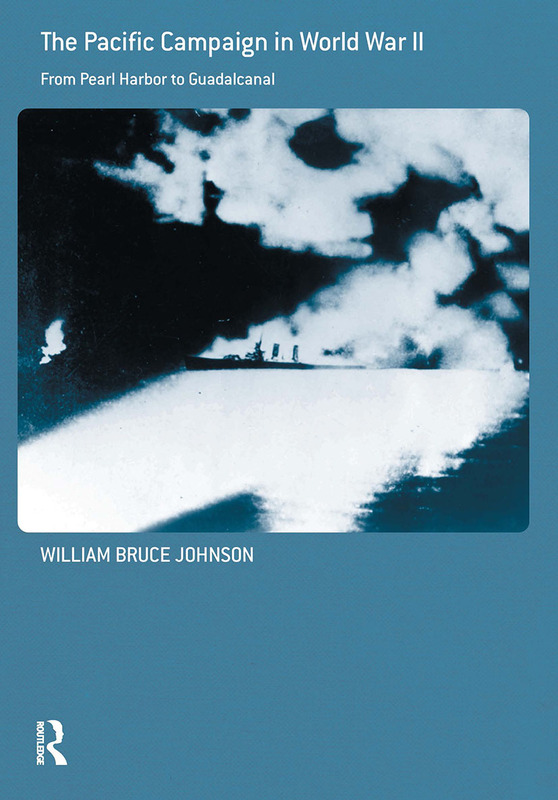 This book will be of great interest to all students and scholars of Military History, and to all readers with a general interest in World War II, particularly in the conflicts of the Pacific, Pearl Harbor and Guadalcanal.